What’s Your Activity? Swimming, Weight Lifting, Running, etc.? Whether its because you might be nursing a hangover from the day before or simply because work has just been hell and you want to go home and have a stiff drink. There is one thing worse than actually going to the gym after a rough day – and that is the horrible stench of your gym clothes ruining your favorite bag. So if you are currently doubling your favorite your messenger bag as a gym bag – stop now before it’s ruined for good. Like any other product – you have to find one that is supremely functional for your life style. Sure, you could plunk down a few hundred bucks and get a designer gym bag and look stylish when going to and leaving the gym – but if it breaks your budget and does a poor job in actually containing your smelly gym clothes – then by all purposes it’s failed at being the best gym bag for you. Therefore, if you are in a corporate environment or one that is much more casual, you can find in our list below a gym bag that should fit you and your style perfectly. Generally speaking, if you dress pretty casual when going the gym, many of the big name bags such as Herschel Supply, Fjällräven, etc., will look great as be dressed up/down. 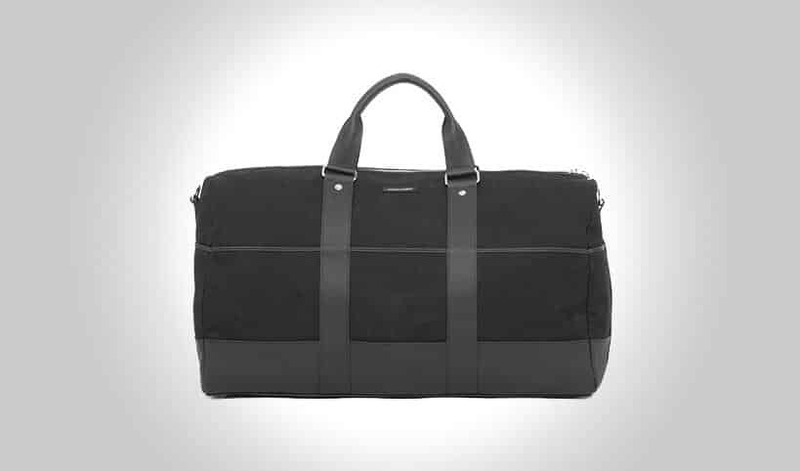 However, if you are in a business-forward environment, a simple cloth bag like the Are Gym Duffel would be perfect. Depending on the activity that you plan on performing at the gym may very likely determine the type of gym bag that will be perfect for you. For those men who favor aquatic activities like swimming, diving, or water polo will want to be sure to pick up a gym bag that has a waterproof lining on the interior as it will help contain the dampness from your swimsuit. Men who have an intense cardio regimen where they sweat profusely will likely want to get a waterproof lined bag as well. For those men looking for bags where water or liquids aren’t a concern, then options regarding the inner lining are virtually endless. The speedster: This is a guy that goes to the gym, get’s what they need done in as little time as possible and will quickly change back to their street clothes and leave immediately. The gym rat: This type of man basically lives at the gym. 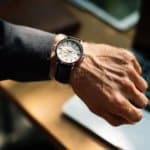 Not only do they have no problems if their workout goes over by 15 minutes, but they will also be sure to hit the showers, shave, apply hair product, and be incredibly fresh when leaving through the doors on the way out. 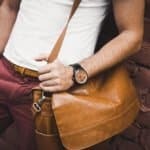 With these two types of men – there are largely two types of bags for each of them – one with compartments and one without. 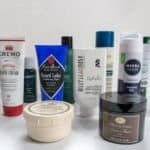 If you plan on fully doing your grooming regimen while at the gym, then will definitely need a gym bag full of compartments, or at the very least, a dopp kit within your gym bag. 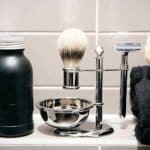 In order to keep your shaving cream, body spray, deodorant, razor, and every other grooming essential in tact, the only sane way to do this is to compartmentalize everything. This will not only ensure easy access, but will save you time in the long run through proper organization. For the speedsters, you guys will likely just need at minimum a single compartment to throw all your gear in on the way out. If you plan on re-wearing your clothes we would recommend at least two compartments to keep your shoes and clothes separate. Adidas is a leader in sporting goods and accessories, so it only makes sense that they would come out with a convenient to carry duffel bag for all of your equipment and gear. These bags are designed to be as transportable as a backpack, and despite being labelled as a small duffel bag, this model comes with a very roomy interior. The bag itself is 21x11x11 inches, and many buyers have described its size as more of a “medium” rather than a small. The main body of the bag is made of polyester, so it is not as breathable as other cloth or canvas bags. It is very durable, and can go on an airplane as a carry on. It is small enough to be transportable, but big enough to keep all of your athletic equipment in one place. The biggest complaint that a lot of buyers seem to have with this product is that the inner lining is not very long-lasting, and has a tendency to crack and tear after a few uses. However, the bag is rather cheap for a name brand product, and the exterior does hold up well after weeks of continual use. Gym enthusiasts rejoice, because this gym duffel bag was made specifically with you in mind. This is a gym bag that combines style and function, and leaves no room for flaws. It is made out of durable nylon and has storage compartments for your clothes and a separate one for your shoes. The main compartment is also ventilated to help minimize the build up of odors, because no one likes a musty gym bag. There is even an additional back pocket that is used to keep a clean change of clothes. There is nothing that this manufacturer didn’t think of. The bag is 21 inches long by 11 inches wide, and 9 inches high, perfect for keeping your clothes. It doesn’t have a designated ball pouch, but you can keep your little extras like a laptop or an iPad comfortably and safely. It comes with dual carry handles and an adjustable shoulder strap, so you can determine what is most comfortable for you to carry. Just know that you will be glad that this bag exists, because quality of this caliber doesn’t usually come this cheap. Of course, this bag isn’t necessarily cheap by today’s standards, but it also isn’t very expensive at around $150. This duffel bag features 100% nylon ripstop lining, and a waterproof exterior that’s suitable for at the gym and on the go. This compact little bag is a mere 16 inches long by 10 inches wide and 10 inches tall, considerably smaller than competing products. As a result, larger items (such as personal weights or boxing gloves) may not fit alongside your clothes, shoes, and towel. The bag is marketed as being exceptionally durable, made from military grade products that are designed to take a beating. The zippers are waterproof, and have paracord ties for heavy duty jobs. On the outside, it should be a very good bag. The asking price is a little high, but surely you do pay for what you get? Unfortunately, many reviewers seem to think otherwise. While the majority of reviews are exceptionally positive, there is a growing minority that are crying for some satisfaction. Broken zippers are the number one issue with this bag, and straps that fall off are close behind. However, rest assured, should you receive a faulty bag, Bomber and Company does provide a warranty for their products. To store all of your gym equipment, it helps to have a number of different pockets at your disposal. This X-Bag Boarding duffel bag has just enough pockets to store whatever you need, and still be easy to use and carry around. The bag measures in at 19 inches long, 11 inches wide, and 9 inches deep, so it does have some space in it. It has a more rectangular design to it, but that does not take away from the storage capacity. The Bric’s X-Bag is a PVC coated poly bag with leather trim and pockets for anything you can think of, such as your keys, wallet, phone, or membership card. This bag is a bit heavy at 5 pounds, but it is completely versatile in function and incredibly handy to have. The biggest sticking point is that it is rather expensive, and it doesn’t really allow your clothes to breathe all that well. Gym clothes left overnight could leave you with a very unpleasant odor after too long. Other than that, it’s a wonderful, compact bag with a roomy main compartment, three exterior pockets, and enough extra hiding spots to accommodate all of your little extras. Gym bags go through a lot of rough handling, from being tossed into the car, on the floor, in the locker, and back again. You need a bag that can handle all sorts of hard handling, and the Carhartt Legacy gym bag may just be what you need. This bag is made with a synthetic polyester material that allows the contents within to breathe, while still being water resistant and breathable to allow for air circulation. This bag is tough, and the thick, heavy duty straps are able to withstand a whole lot of weight easily. 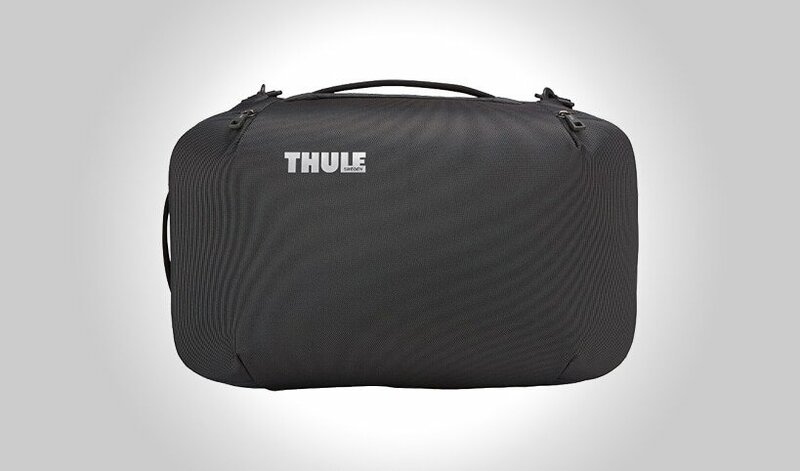 This bag has a single large compartment for holding your clothes, your weights, or your equipment; anything that you can possibly put into a gym bag, this triple-reinforced bag can hold it. Unfortunately, there are only two compartments to store things: the spacious main compartment, and the smaller side pocket for things like wallet, keys and phone. If you are just using this bag to go to and from the gym, then its 20 x 10 inch dimensions should be more than enough for you. Just ensure to wash the bag from time to time, as there is not separate area for your dirty laundry. Sometimes, a simple bag is the best bag, especially for carting around heavy, dirty, or bulky gym attire. This bag is made out of canvas, and while it is stylistically simple, it’s also deceptive for how useful it is. This small, compact bag is ideal for carting around a couple of outfits at once, it has numerous pockets capable of holding all your small necessities, and even though it’s only 16” long, it has a lot of space for things such as your iPad, laptop, or shoes. It’s designed after an outdoor bag, so its primary purpose is to be durable. You won’t have to worry about shredding the thick canvas exterior too bad while you’re going to the gym, but it’s nice to have the additional security going to and from your destination. There are external and internal pockets for convenience, and the roomy main compartment is ideal for storing your stuff. The small size makes it easy to store and really easy to carry. The straps are adjustable and allow you to carry it as a backpack or a shoulder bag, whichever suits you more. Very good reviews surrounding this bag and it’s exceptional quality. 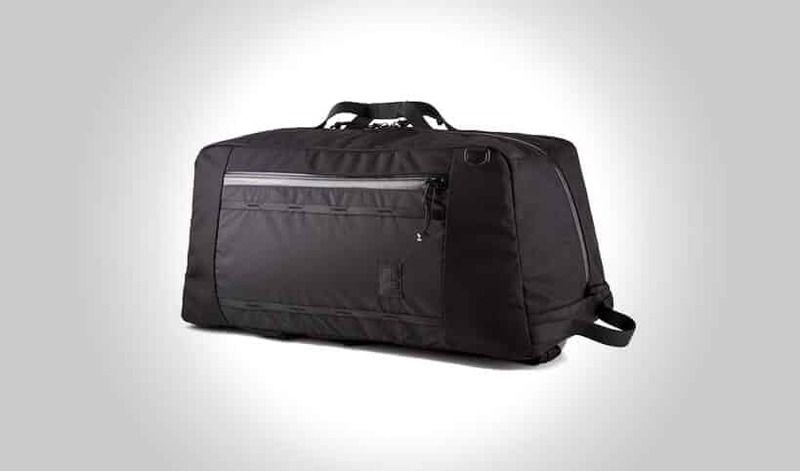 A good quality duffel bag is hard to find, especially if you need one for the gym. You want room to put all of your little extras, such as gloves, weights, shoes, and clothes. 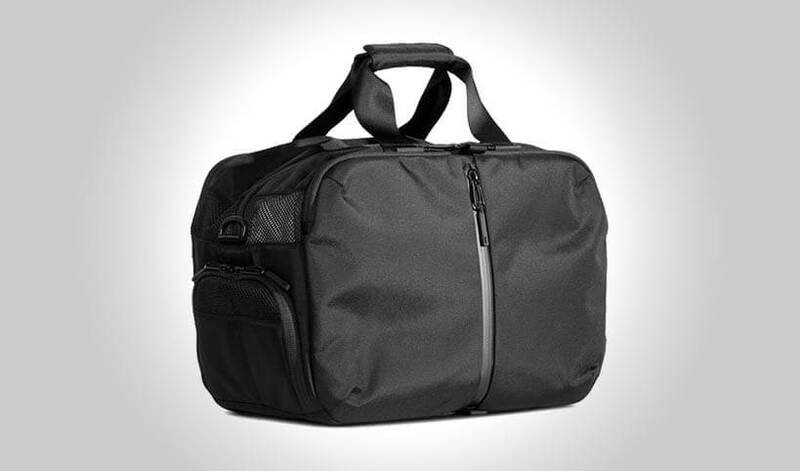 This duffel bag is small, but it has plenty of room to store most of your basic gym needs. It sits at 18 inches long and about 10 inches wide, more than enough space to toss a few essentials such as your iPad. It also has numerous pockets that can be used for your small items, like keys, phone, wallet, and ID. The durable twill exterior is abrasion resistant and water resistant, ideal for all year long use. The quality is great, and will stand up to whatever you decide to throw at it. Which is good, because this bag is definitely on the pricey side. The regular retail value is around the $300 mark, so it only stands to reason that you would be getting a quality product. It definitely looks good, and is big enough to hold everything you need, but small enough to stuff in a locker for storage. Just be sure to wipe it or brush it clean; this bag is not easy to care for thanks to the leather trim and handles. This bag makes for a great gym bag thanks to all of the additional features it possesses. For starters, it has a combination of interior and side pockets to fit everything you need for a trip to the gym. The exterior cotton/polyester canvas material is waterproof, but still allows your garments to breathe. There is also a leather trim that is incredibly stylish without taking away any of the functionality. This bag measures in at 18 inches long by 10 inches wide and 10 inches high, so it definitely has some room in there for at least two changes of clothes. It’s not as roomy as some other bags on the market, so a lot of the price is attributed to the brand as well as the quality. This is a high-quality bag that is sure to last through many uses. While it is small, it is durable through all sorts of weather. This bag’s small size makes it incredibly easy to put in a small or full-size locker, so you can lock your bag up and keep it safe while you exercise. The pockets give you somewhere to put your wallet, keys, and phone while you store your bag in a locker, which guarantees that you won’t forget them later. Going to the gym has never looked so good; this Gootium product doesn’t look like a gym bag, but it is perfectly equipped to carry all of your equipment effortlessly. The bag is made with 100% cotton canvas and leather trim, making it exceptionally stylish while holding on to that weather-worn look. The leather is sturdy, but flexible, so you can store a whole host of things in this bag such as equipment, clothes, shoes, and more. It is available in two sizes: the small bag has a 28L capacity and measures in at 17 inches long by 9.8 inches high, and the large has a 45L capacity and is roughly 19 inches long and 11.8 inches high. Even at the largest, it is comparatively small when against other gym bags (that tend to run at 20 inches long and 10 inches high). However, you should be able to get all of your necessary clothes and some shoes in there as well. The biggest issue with this bag is going to be the lingering gym scent. Because it is cotton canvas, it may hold onto odors for longer than other gym bags, and the leather trim doesn’t make this bag the easiest thing to wash. It can be done, and if you are in the market for something small to stuff into a locker, this is a convenient size for that. 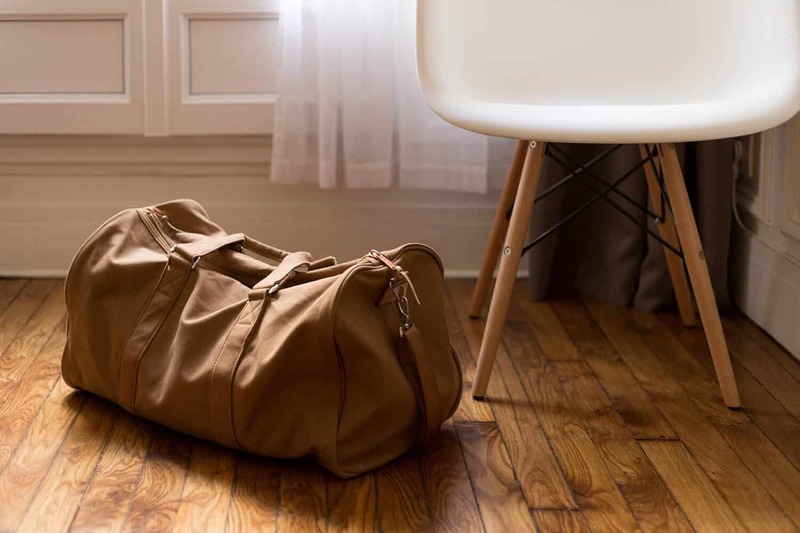 Duffel bags are meant to be used, and if you frequent the gym on a regular basis, chances are you’re going to need something to cart your items to and from the gym. The Herschel Supply Co. duffel is great for carrying shoes, clothes, and the odd accessory or two with you. This bag features a strong polyester material and straps for carrying. An adjustable nylon shoulder strap is adjustable and removable if you prefer to hold it by the short top handles instead. As far as additional features go, this bag has a separate pocket for shoes or dirty laundry, to ensure that your other clothes don’t get dirty after a hard day of working out. The material is breathable, and the design is very sleek and cool. It’s also very roomy at 20 inches long and 15 inches high, so you can expect to fit at least a couple of outfits in, along with shoes. The big sticking point is the price, as it is rather expensive for a simple gym bag. This may be attributed to the company, or the size, but many reviewers have expressed concern about the quality and lack of additional features (such as pockets). Athletes will love this versatile and affordable bag from HIKA. It has everything you need to carry your clothes, shoes, and equipment efficiently, and still have room left over for other necessities. This nylon bag has pockets all over the exterior for your clothes, shoes, laptop, phone, MP3 player, and more. Can store extra clothes and shoes if you need, or you can use the hidden compartments to store your dirty laundry. This bag is 17 inches by 9 inches by 11 inches, so while it’s not necessarily large, it’s definitely compact and easy to carry around. This bag has numerous straps so you can choose how you want to transport it. It has options for a backpack, an over the shoulder bag, or just carry it using the hand straps over the top. Cyclists and bus commuters will enjoy how little space this takes up. For sports, the bag has a breathable fabric that helps release odors and leave your bag a little less unpleasant in the morning. The material is durable and waterproof, so it’s great for outdoor rough and tumble as well as in a gym. The only downside would be that the bag is a little small, so it’s not good for extended excursions. Regular duffel bags aren’t nice to look at, but they get the job done. Sometimes, that’s all you need. This bag by Hook + Albert takes the simplicity of your everyday duffel bag and turns it into a designer luxury item that is a must have for the season. This bag is made out of a tough tech fabric to withstand rough wear and tear, and the spacious main pocket is big enough to hold most, if not all, of your athletic equipment. 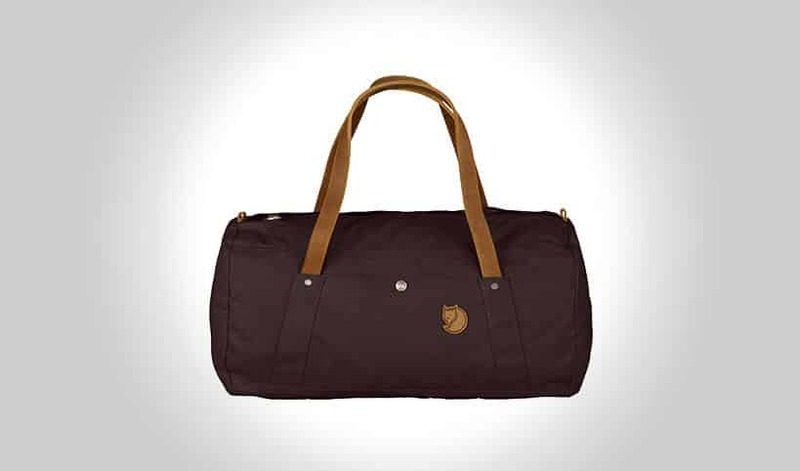 Perfect for the gym or for a weekend out of town, this bag ensures that wherever you go, you’re going fashionably. Of course, fashion isn’t everyone’s cup of tea, but any man can appreciate the smooth looking bag. Even if it is a little more expensive than others on the market, this is one bag that you pay for what you get, and here, you are paying for long lasting quality. This bag is 20 inches long by 12 inches high and 10 inches deep, a very respectable volume for carrying your clothes and more. It’s also very easy to care for; simply brush it off and go. The nylon polyester fabric lets your clothes breathe while not hanging on to smells like a cloth or canvas bag would. Small, convenient, and effective. 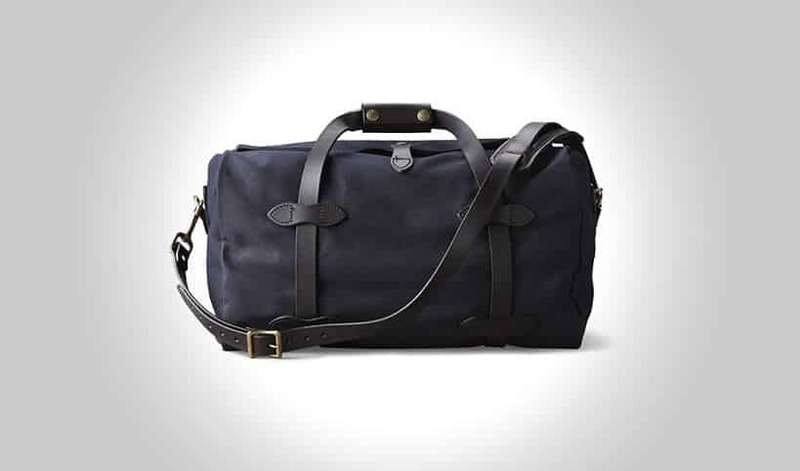 If you just want to carry around a single outfit and some shoes, this is a great duffel bag to look at. It’s 30L capacity is not much in today’s market, but it’s enough to carry around what you need to and from the gym, and the breathable nylon Cordura fabric is durable enough to get your stuff there in one piece. It’s not a state of the art backpack with extra features, but the waterproof zipper and reinforced seams make it feel that way. With this bag you get a simple, easy to use bag that can be used as a gym bag or an overnight bag. Because of its small size, you can stow it away in the gym lockers or at home in the closet until you need it again, and it doesn’t take up too much space. Don’t expect to be able to carry a lot of extra things, such as your electronics, as it’s not designed to hold them. There are also a distinct lack of pockets, which could be a problem when storing clean and dirty laundry in the same bag. There is also not a whole lot of room for shoes, which is a bit of a downside as well. A great bag for a great price. Duffel bags, especially ones used for the gym, should be simple in their design but stylish, and this MIER product delivers on both fronts. It is a functional piece designed to get your clothes from point A to point B as efficiently as possible. It features a large main compartment, a small zippered pocket on the inside, and a shoe compartment built into the bag that you can use to put shoes or laundry in. It’s also a very large bag, at 20 inches long and 11 inches high/deep, so it can hold a good amount of clothes before needing to be zipped up. 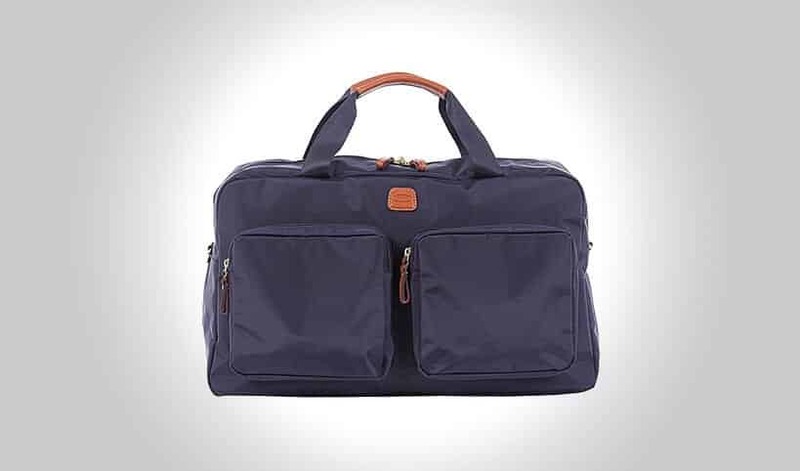 This particular model also comes with a complementary toiletry bag for your travel shampoo or deodorant, and turns this duffel bag into a very easy to carry weekend bag. You can even use this as an every day carry to and from the office. The entire exterior of this product is made from a sturdy nylon, able to withstand rough handling. Reviewers are very happy with both the product and the price, so if you need a cheap and effective gym bag, this is a great first purchase. This 19” x 10” x 11” bag from NIKE is durable and fashionable. NIKE is a leader in athletic wear, and their bags are made to do whatever it is you do, whether you are going to the gym or going out into the wild. It is made out of durable fabric with lots of extra pockets to help you organize your things. The large main compartment is great for holding shoes and clothes, while the side pockets hold extra papers, ID, and other small essentials. It’s incredibly light weight as well, which makes long commutes very bearable. The bag doesn’t have a lot of carry options, just the handles and an over the shoulder strap to carry hands free. It is very comfortable, and wears very well. As for cleaning, you can clean it with a sponge but it is not recommended to put it in the washer as it could ruin the material. The bag does hide scuffs and scars somewhat, but it does scuff and scar, and for the price, this bag is not something you want to ruin with rough handling. As it is a NIKE product, it’s a bit expensive because of the brand name, however it is very fashionable and will last a long time with proper care. 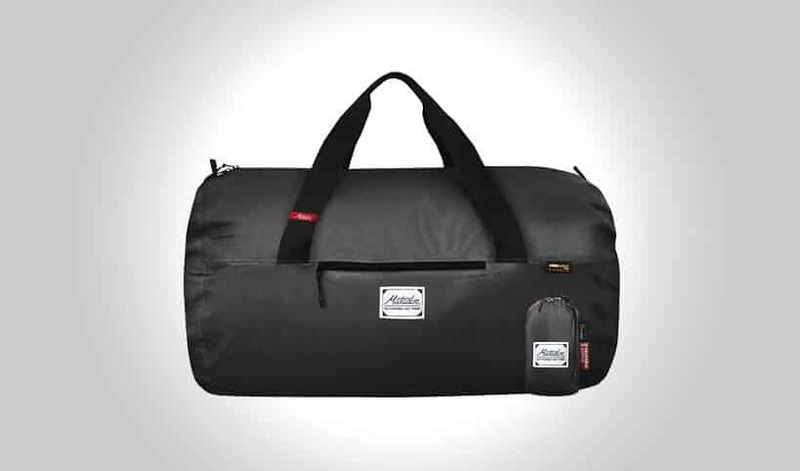 The Overwake Original gym bag is ideal for people who go to the gym on a regular basis. It’s durable, lightweight, easy to carry around, and while it doesn’t have a lot in the way of pockets, casual gym-goers will appreciate its simplistic design and familiar features. This bag has two nylon carry straps that go all the way around this polyester bag, offering structure and stability. It’s 19 inches long and 9.5 inches high, so it’s small enough to carry on the bus or in your car without taking up too much room. Bike commuters may have some issues carrying this product, but overall it’s a very transportable bag. The straps are wide, heavy duty, and comfortable to put on your shoulder. The roomy interior holds all of your gym essentials, including water bottle, change of clothes, and other small items. Reviews of this item are all very positive, and for under $20, you can’t really go wrong. For a cheap bag, you will be sure to get some mileage out of it. Perfect for weekend trips, overnight excursions, camping, and more. The breathable material is great for keeping water and pests out, and your clothes nice and dry. 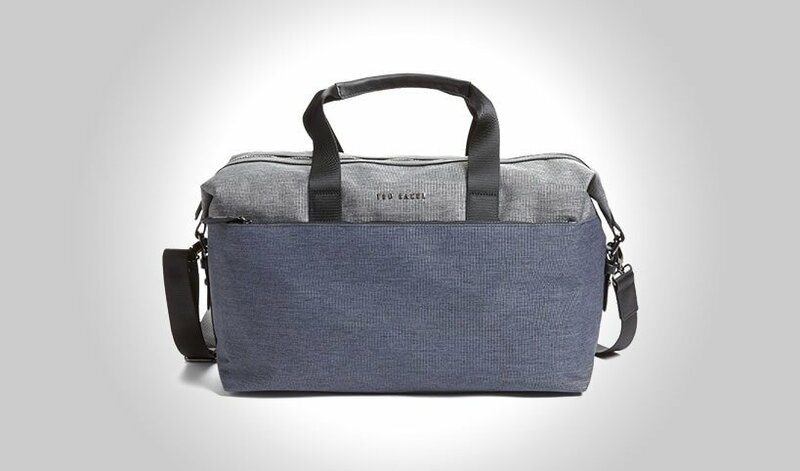 You have gym bags, and then you have bags like the Owen & Fred duffel bag. This bag is small, but it is exceptionally effective at carting your gym clothes back and forth. This bag is made with a canvas weave, and is supported by nylon strap handles to give it strength. There are additional pockets on the inside of the bag to hold things such as accessories and shoes, but for the most part it is a very simple gym bag without a lot of bells and whistles. The straps can be removed or adjusted to your liking, and it is very versatile for whatever you need it to hold. At 19.5 inches long and 9.75 inches wide, it’s a very small bag. It can easily hold two or three sets of gym clothes, and is incredibly travel friendly, but there isn’t much else to this bag. Perhaps the company is banking on its sturdy design to account for the rather steep price tag attributed to the product. Reviewers do say that it’s a very nice bag to own, but there are cheaper bags that have more space and more pockets for holding things. A Rothco canvas bag is not just a functional gym bag; it’s also a very lightweight and versatile bag to carry with you every day. This bag is styled after old airforce bags, complete with canvas and painted lettering. It has external side pockets to hold your little documents, as well as a very roomy main compartment for all of your gym essentials. It is a very simple gym bag, with more than enough space to put your clothes, water bottle, and other gym accessories. On the whole, the bag measures at 19 inches long by 9.5 inches wide, and its cylindrical design allows you to cram a whole lot in there before you run out of room. The Rothco bag has a single over the shoulder strap that isn’t necessarily comfortable, and two handles so you can lug it around in your hand. Reviewers say that it is extremely rugged and durable, able to stand up to a lot of abuse if you are one to throw your bag around. Overall, it’s a very good quality bag that does exactly what you need it to do. Available in your standard issue green or brown. Tough, easy to carry, and easy to store makes this duffel bag a top choice among people looking for a resilient gym bag. This model can be carried by the short side handle or by the back pack straps, allowing for versatility while traveling. Whether you are on a bike or on the bus, you can easily keep track of your bag and ensure it won’t get in your way. For space, this bag is 21 inches high, 15 inches wide, and 3 inches deep (or 21”L x 15”H x 3”W for when it’s on its side). It’s made out of nylon, a durable and wear resistant fabric that stands up to heavy use. However, due to the build of this bag, it’s not very breathable and will trap in moisture coming from the inside. This leads to odor building up, so it will need to be washed pretty regularly. This is a small bag that is perfect for storing in small spaces, or for keeping on you while in transit. For use as a gym bag, you can easily put a couple of sets of clothing inside, but because of the narrow depth, there isn’t much else you can put in. The Hamahed bag is a 17 inch long, 11 inch tall, and 8 inch wide carrying bag suitable for single outfits and a pair of shoes, made out of canvas type polyester that is water and wear resistant. The two way zippers ensure you can easily access your stuff quickly, and exterior pockets give you somewhere to put important necessities like wallet and keys. There is an internal pocket to keep small items separate (such as your iPod or ID), but other than that there are no additional places to keep things such as dirty laundry. While there are definitely bigger and more flashy bags on the market today, this one is a simple, easy to use bag that looks just like an every-day carry bag. However, if you are on a budget and need a gym bag, this on can be a little expensive. Despite this, it’s a good quality bag with very nice stitching, and is easy to carry around. This monstrous 26” duffel bag can hold whatever you decide to put inside. It is made to be used at the gym, and can carry up to 3744 cubic inches of clothes, shoes, and equipment. It’s made out of Cordura cloth, a type of cloth that is durable and resistant to wear and tear. The base is also made out of reinforced, ballistic Cordura, which keeps it sturdy even if it’s being thrown on rough terrain. The material and the volume of this bag is part of the reason why this duffel is so expensive. However, men passionate about quality will love how this bag feels, and will appreciate how versatile this bag is. It has backpack straps, multiple interior pockets and a single exterior pocket, a large shoulder strap, and carry handles. There is no limit to how you can transport this bag. Aside from being a gym bag, you can also use it for travel, weekends, or even as an overnight bag. The padded base and side panels ensure that whatever you put in is going to be safe, and the addition of a cloth lining separates your expensive athletic wear from anything that may try to sneak its way in. Sports enthusiasts know that a good gym bag has all of the features you could ever need and then some. You need a bag that isn’t too big or too small, and is easily organized for whatever you are doing that day. Under Armor’s Isolate duffel bag is the kind of bag that is good for any sort of activity, whether for going to the gym or for practicing sports. This bag features a roomy main compartment that is ideal for clothing and equipment. Store everything from extra gym clothes to your protective gear in the spacious pocket. The entire bag sits at about 20” long and 10” high, so it’s great for more than just sports as well. Camping and weekend trips can also be used, and the high visibility bag ensures that it won’t blend in with your environment. The Isolate duffel bag also features a handy ventilated pouch that is great for shoes or dirty gym clothes. In fact, the whole bag is very breathable, but also has a waterproof finish that keeps moisture out of the bag, while also letting your clothes breathe. This helps to minimize musty gym stench after a long day of hard effort. The bag is really well made, with pockets for clothes, keys, or even a ball if you need. Overall, it’s a fantastic product by people who know athletics.